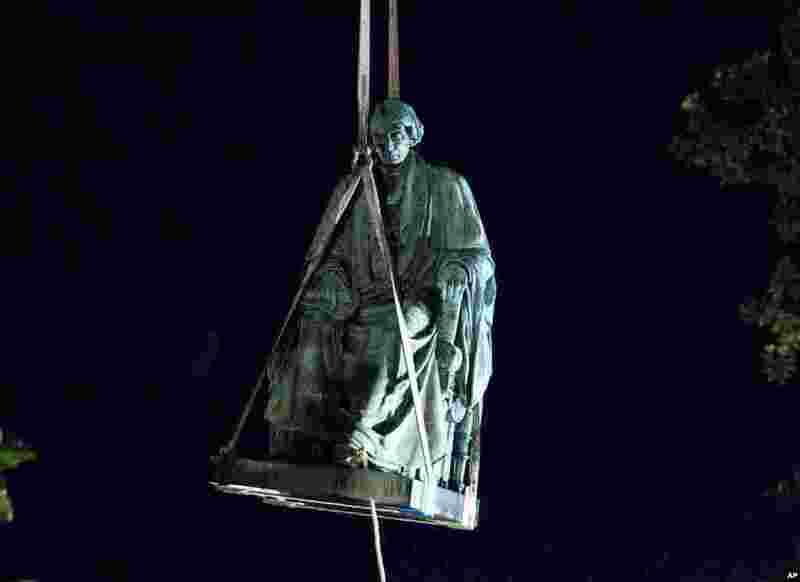 5 Workers use a crane to lift the monument dedicated to U.S. Supreme Court Chief Justice Roger Brooke Taney after it was removed from outside Maryland State House, in Annapolis, MD. 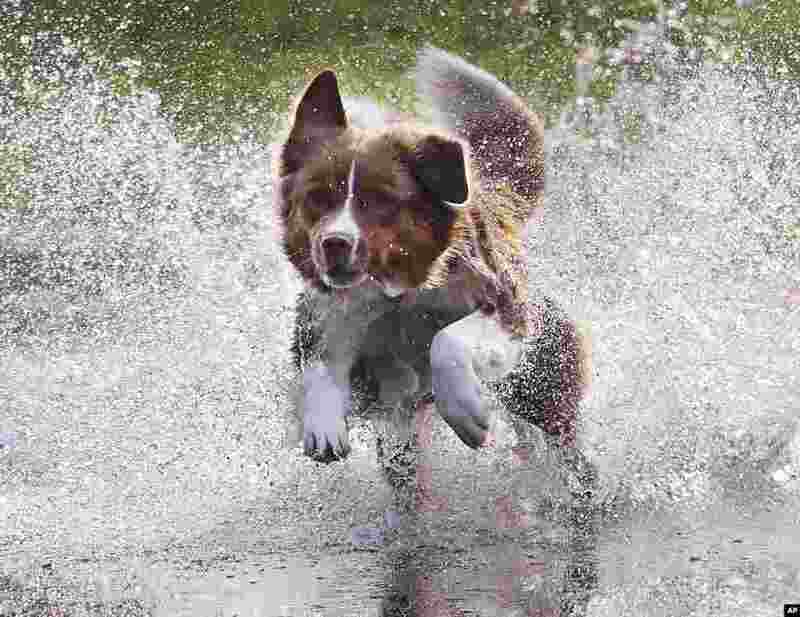 6 Australian shepherd dog Lizzi runs through the water to catch a ball in a park in Frankfurt, Germany. 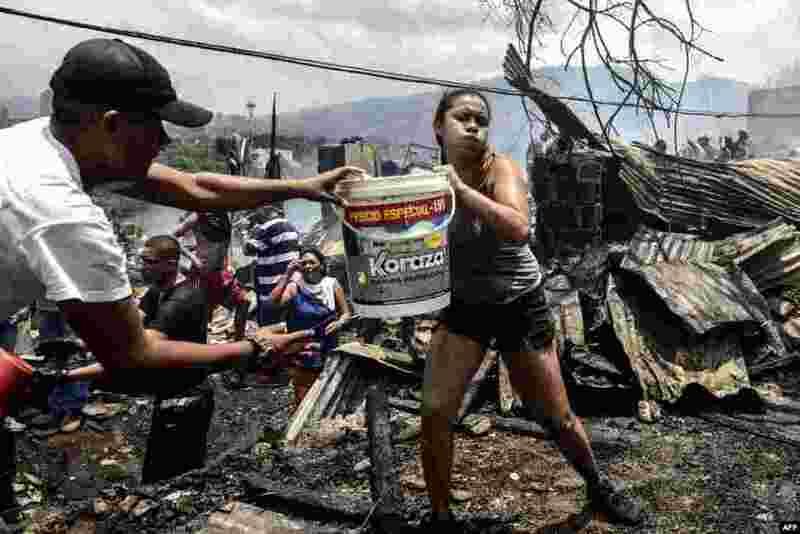 7 Local residents fight a wild fire in the Moravia neighborhood in Medellin, Colombia. 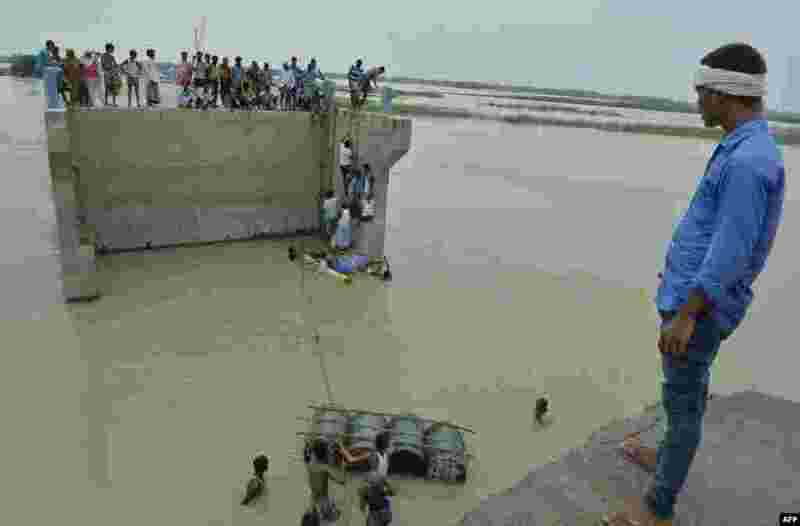 8 Indian villagers attempt to cross flood waters with the help of rope and empty canisters next to a washed away portion of a bridge at Palsa village in Purnia district in Bihar state.